The closure of the largest underground mine in Bulgaria, Bobov Dol in the southwest of the country, means Bulgarian authorities are finally forced to think about Just Transition. Bobov Dol Mining, owned by controversial entrepreneur Hristo Kovachki, announced last week it would close down the Bobov Dol underground mine employing 400 people. The closure procedure is scheduled to start July 16 and finish by the end of the year, by when all employees would be let go. The closure is happening because production costs far exceed purchase prices and there is a shortage of qualified specialists in the region. Local authorities were nevertheless surprised by the news: it is common practice in Bulgaria to keep unprofitable mines going, in part to silence the unions, in part to benefit further from state subsidies. The closure of Bobov Dol is happening without any planning as to what might happen to the workers and region at large once the mine is gone. The area where Bobov Dol is located is not rich, neither does it have a diversified economy – it’s been dependent on coal for decades. This spells trouble if there is no planning. The case of another Kovachki-owned mine in the same region, Babino, which closed last year similarly without any contingency plans gives further reasons to worry. When nearby Babino shut down, 650 miners lost their jobs. All the workers heard when they were made redundant was that they should go to the unemployment office – needless to say the assistance they got there is not enough to cover for the costs of a normal family, nor does it last forever. The Bobov Dol municipality is so worried the same thing will happen to another 400 miners that they called a press conference to express their concern. “We live in a country where politicians have no vision for the development of areas like ours”, said the mayor of Bobov Dol municipality, Elsa Velichkova. Interviewed by us, the mayor wondered why there was no dialogue between the various institutions that should deal with the aftermath of mine closures and come up with plans for the economic diversification of coal regions. At the end of May, mayor Elsa Velichkova joined a study trip organised by CEE Bankwatch Network and Czech NGO CDE to the coal mining region Usti in Czechia. Mrs. Velichkova, together with other decision-makers from CEE, discussing Just Transition in Usti region. There, Mrs. Velichkova had the chance to see how some Czech towns are preparing mitigation plans for employees of the coal sector and their families even before the mines are closing; instead of trying to slow down artificially the closure of coal mines, some Czech authorities are working on preparing the people for the inevitability of mine closures and working together with them to create a post-coal future. At the end of the study trip, Mrs. Velichkova said she would stay in touch with her Czech colleagues and insist on similar transition plans to be prepared for coal-dependent regions in Bulgaria. First opened in 1891, Bobov Dol used to be one of the main sources of coal in southwestern Bulgaria, but its prime has passed long ago. 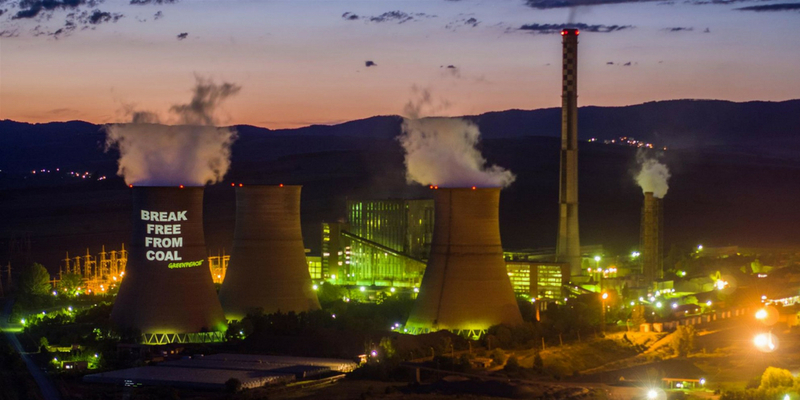 About 45% of electricity in Bulgaria comes from coal, mainly locally-produced lignite with high sulphur content. More mine closures will come and it’s high time for Bulgarian authorities to start taking Just Transition seriously. That Mrs. Velichkova does so is very encouraging.